Access precise tumor treatment in the 3D space. • Liver ASSIST V.I., with Virtual Injection allows real-time injection simulation that helps to define optimal navigation through hypervascularized anatomy of the liver to reach the lesion. Save time and radiation dose. 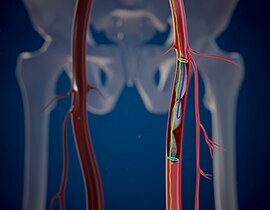 • Placing catheter tip at the right location usually requires constant change of catheters & guidewires to find the most adapted for selective embolization. • Detecting tumor feeding vessels in the 3D space usually requires multiple DSA in various angulations (meaning increased dose and procedure time to obtain comprehensive understanding of the 3D vascular anatomy). • Using Liver ASSIST V.I. allows users to save procedural time by 11%2d and helps to reduce mean number of DSA by up to 30%2d in a single TACE session vs. not using it. Achieve a higher rate of complete tumor response. Optimizes procedure selection & preparation. Thanks to automatic liver anatomy segmentation & evaluation, Liver ASSIST V.I. helps to automatically extract bone, liver and portal system4 to be able to puncture it during your TIPS or PVE procedures. 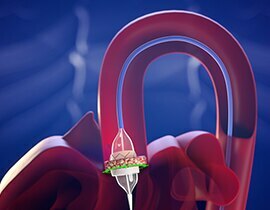 To deliver therapeutic material to tumors during trans-arterial chemoembolization therapy, it is essential to identify the liver vessels accurately. The liver’s complex vasculature can make precise identification of tumor-feeding vessels in 2D and 3D images a challenge, often requiring significant time, radiation, and contrast media. Single-click fusion imaging between the live fluoroscopic image and the vessels highlighted for 3D fusion guidance.5 Facilitates catheter selection in complex vascular anatomies for a higher selectivity in liver embolization procedures. 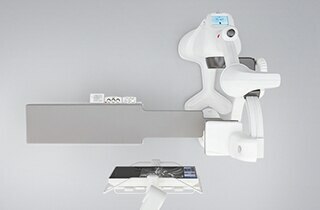 The outcome of the treatment is then controlled with CBCT. Performing TIPS may be challenging because these are long procedures that often require multiple puncture attempts to reach the portal system. On top of this, many DSA runs are required to fully understand where you are in the anatomy with the associated radiation dose and procedure time. Export to use as a 3D overlay. 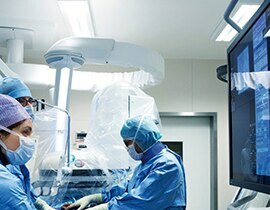 Overlay pre-operative data on live fluoroscopic images5 using the intuitive Bi-View registration guided workflow, all at table side. Use DSA images on larger Field Of View to image the entire anatomy of interest. Up to 82%2a inter-operator agreement for identification of feeding vessels compared to DSA(54%) or Cone Beam CT(62%) alone. The procedural time for a single TACE session is significantly less with Liver ASSIST V.I. than without it. * Liver ASSIST V.I. solution includes Hepatic VCAR and FlightPlan for Liver that can be used independently. It also requires an AW workstation with Volume Viewer and Volume Viewer Innova. These applications are sold separately. Not available in all markets outside the United States. 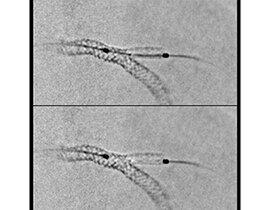 a. Computed Analysis of Three-Dimensional Cone-Beam Computed Tomography Angiography for Determination of Tumor-Feeding Vessels During Chemoembolization of	Liver Tumor: A Pilot Study – Deschamps et al. Cardiovasc Intervent Radiol. 2010.
c. Clinical utility and limitations of tumor-feeder detection software for liver cancer embolization. Iwazawa et al. European Journal of Radiology. 2013. 3. Hepatic Arterial Embolization Using Cone Beam CT with Tumor Feeding Vessel Detection Software: Impact on Hepatocellular Carcinoma Response. Cornelis et al. Cardiovasc. Intervent. Radiol. 2017. Using a previous version of FlightPlan for Liver. 4. 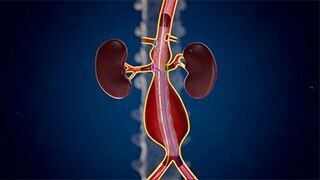 Bone extraction thanks to Autobone Xpress (included in Vessel ASSIST) / Liver and portal system extraction thanks to Hepatic VCAR (included in Liver ASSIST V.I.). 5. Requires Vessel ASSIST solution which includes Vision 2, VesselIQ Xpress, Autobone Xpress. Liver ASSIST V.I. and Vessel ASSIST are sold separately.